SEAMEO RETRAC was funded by the World Bank under the Vietnam Blended Learning Project to conduct training workshops entitled Leadership skills for mid-level managers at higher educational institutions in Vietnam using blended learning mode. From 06 to 24 August, 2012, SEAMEO RETRAC successfully implemented 3 face-to-face training courses in educational leadership and management for 80 educational administrators who are deans/ vice-deans, department chairs from different universities and colleges nationwide. 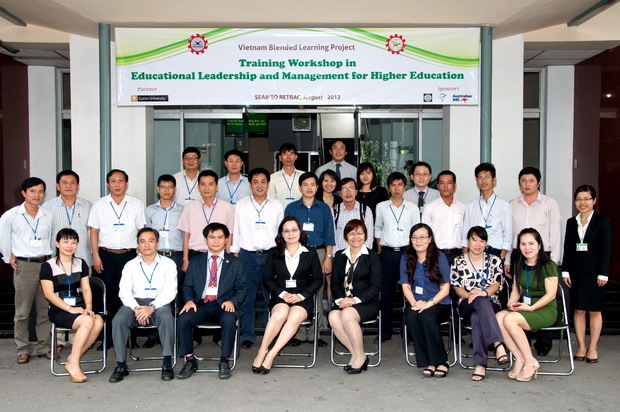 The project’s goal is to help the mid-level managers at higher educational institutions (HEIs) improve their educational leadership and management skills to better serve their institutions and students.The training workshops were facilitated by experienced educational specialists and professors from SEAMEO RETRAC and Curtin University. 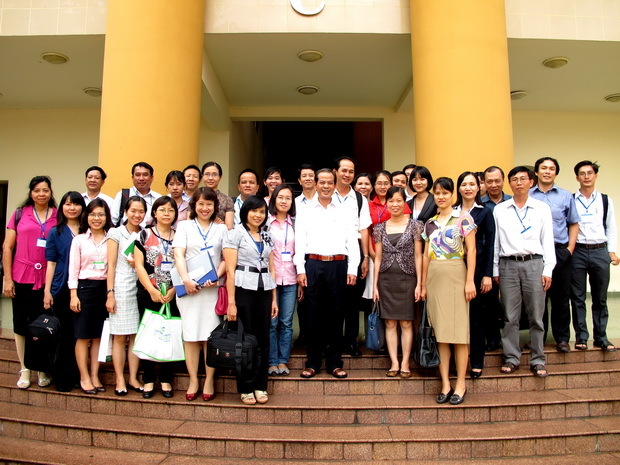 The training courses included but were not limited to leadership and management skills of the mid-level managers at HEIs in Vietnam, but also focused on best practices in curriculum development and assessment in higher education worldwide. Additionally, the participants had the opportunity to visit universities in Ho Chi Minh City to share and exchange experience, information as well as to learn more about educational leadership and management practices currently employed by these institutions. Besides the face-to-face training, participants from September to October, 2012 will engage in online activities. This blended mode of learning will provide participants with the opportunity to continue their training while they still can work at their respective institutions.